So many things to do and so little time! To make the most out of your stay and discover the best of Rotterdam, we have put together a list things to do in town. Truly experiencing Rotterdam means sailing through it! Explore Rotterdam in only 75 minutes, seeing everything that lives on and around the water. It is an incredible experience to see the skyline, wharves, quays and docks from so close and to take part in the busy traffic of ocean ships and canal boats, on a river that brought Rotterdam its glory. A world-class experience that doesn't take long at all! Treat yourself to a dazzling view of Rotterdam and step into the elevator of the Euromast. Within a second you are outside, on the platforms. At a height of 100 metres you can see the magnitude of the harbours, the skyline of a real big city and 'celebrities' such as the Kuip, Hotel New York and the Erasmus Bridge. Feel like more excitement? Get on the Euroscoop for a ride to 185 meters! The Rotterdam Zoo (Diergaarde Blijdorp) has become one of Europe's most beautiful zoos. Dive into the fully covered Oceanium; the domain of sharks, king penguins, sea otters and jelly-fish. Walk through the Asian Swamps and meet with the elephant- and rhino family in tropical forest 'Taman Indah'. In 2007 Rotterdam Zoo celebrated its 150th anniversary with many special anniversary activities. 'Once around Rotterdam' is a 2-hour walking tour through the centre of Rotterdam, past the many architectural and cultural highlights, providing you with surprising tips on the route, such as fun shops and extraordinary restaurants. The tour is supported by existing pedestrian signposting in the city. The brochure is available free of charge at many locations, such as the VVV Rotterdam Store (Tourist Information Office, Coolsingel 5), VVV Rotterdam Info Café (near Central Station) and many hotels, attractions and museums. The Rotterdam Philharmonic Orchestra is the musical heart of the city of Rotterdam. Soon after its foundation in 1918, the ensemble evolved into one of the leading orchestras in the Netherlands. Since 1995 the celebrated Russian conductor Valery Gergiev has been the orchestra's Music Director. He initiated the Gergiev Festival Rotterdam which has grown out to be one of the orchestra's major events. 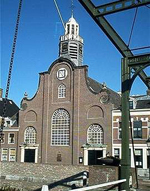 The building of this church reached its finalization in 1417. After a thorough reconstruction in the year 1761 the church got its present shape. However, over time several major alterations have been made on both the inside and the outside of the beautiful building. After the 2nd World War a carillon was placed in the tower, which has been replaced in the late 80's by one consisting of 44 bells. The International Film Festival Rotterdam offers a quality selection of worldwide independent, innovative and experimental cinema as well as a series of film-related visual arts exhibitions and live performances. Arboretum Trompenburg is a beautifull laid out park of about 12 acres, dating from 1820. It contains a rich collection of trees, bushes, perennials and bulbs. Arboretum Trompenburg is visited by 50.000-60.000 people a year. Follow the construction of the 18th century ship of the line "De Delft" from close by. A ship fitting the history and ambiance of Historic Delfshaven. With each visit to the shipyard you will see the ship grow to her final glorious overall length of 63 meters. "De Delft" will become one of the largest ship replicas in the world! 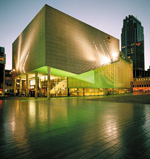 De Rotterdamse Schouwburg (the Rotterdam Theatre) is a dynamic company where no day is the same as the one before. Some 85 people make sure that every year more than 500 performances can take place in this theatre, from classical ballet to experimental multi media theatre and from the stages in the Main Hall, the Little Hall to the so-called Krijn Boon studio on the 4th floor. Passionate and Bulkboeks Dag van de Literatuur (Bulkboek's Day of Literature) have merged on 1 January 2009. This merger has resulted in Passionate Bulkboek, the number one national organization in the field of Dutch literature and young people. Rotterdam is the festival city of the Netherlands, with both small and large-scale events. From the International Film Festival Rotterdam to the World Port Days, there is always something to do in Rotterdam. For Rotterdam the theme of 2009 will be the youth, under the name Your World, with a wide variety of festivals and events. Rotterdam is a lively metropolis all year round with countless cafes and restaurants representing every cuisine in the world. In the evenings and nights you can hang loose in hip clubs and trendy discotheques, such as the sustainable dance club Watt, which opened in 2008.